The internet stream still seems to be down, which is a bummer for me because the high-profile listeners of the show, those who enter the cover contest, for example (Jim Dandy) listen via the internet. Still I did my thing. Hopefully we will be surfing down that internet stream next week, with the cover contest in effect, and Dandy battling Nick, Gaby and Mary Ellen for the cover contest champion crown, which is the way things are supposed to be on Sunday mornings. 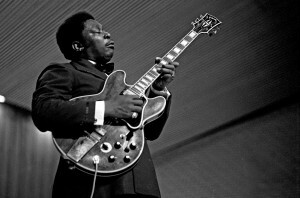 Paid a little tribute to the late, great BB King this morning, heard two + numbers from saxophonist Joshua Redman, and heard disparate versions of "Full Moon and Empty Arms" (Bob Dylan and Frank Sinatra). Next week it will truly be summer for me; the last of my obligations (piano recital) will be over, and I will be free to do my own thing until the kids come back to school in August. Catamount Community Radio, Sunday mornings on Power 90.5. Just checked the stream and it is still down. After that first trout I was alone on the river, but I didn't know that til much later.